Round neck top by MARC AUREL with 3/4-length sleeves. 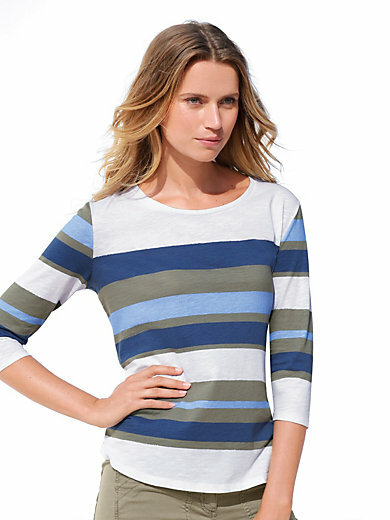 Stripes all over in great colours make this versatile, must-have top ideal for a casual look. Rounded hem. 100% cotton. Length approx. 24ins. The round neck top is machine washable.